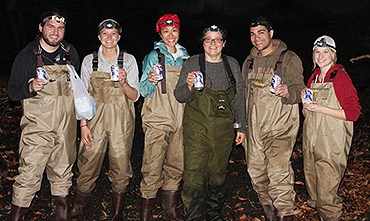 In the journal club we discuss recently published papers on behavioral or molecular ecology. This semester we are meeting on Fridays at 10:30 am, Lapham 185. Cool new reads to check out! 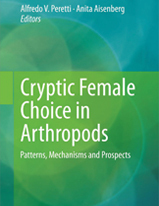 Cryptic Female Choice in Arthropods: Patterns, Mechanisms and Prospects. (Peretti AV & Aisenberg A, eds.). 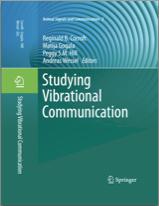 Studying Vibrational Communication. Springer. (Cocroft RB, Gogala M, Hill P.S.M & Wessel A, eds.). Vibrational communication in the news. We are excited to announce that BME graduate student Bennett Hardy received a fellowship from the NSF Graduate Research Fellowship Program (GRFP)! 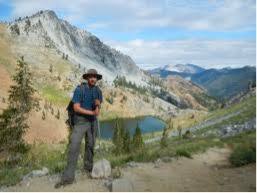 This will help support his research in Dr. Emily Latch’s laboratory, combining extensive field work with genomic tools to conserve the Cascades frog in the Pacific Northwest. A huge congratulations to Bennett! This is an outstanding achievement!